Get a free Kayak and a free Shot at Check-In. 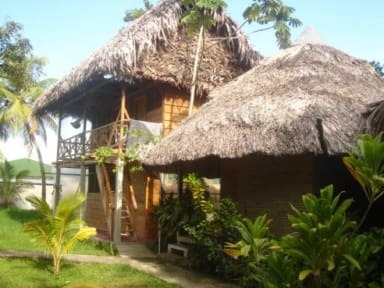 It is set in a Jungle garden with a Boat-Pool, hammock areas where you can watch the crabs go by, stare deep into a bit of clean swamp and daydream to the chill out tunes during the afternoon. Our famous family-style dinner is served every night at 7 pm. It's the best way to meet staff members and other guests before the very lively Happy Hour with a Party or two late into the night. There is fantastic Free WiFi to keep in contact with friends and family as well as an international book exchange. 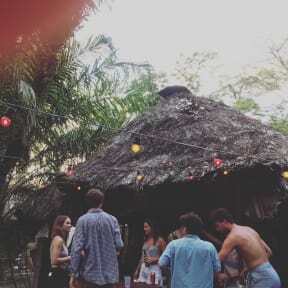 We have live performance of the local music Punta, which gathers a nice atmosphere to dance and get to know the culture. There are some tours and onward travel information that we can help you with.